Monday, 19th July, 2010: After announcing various aid projects for Pakistan, Hillary Rodham Clinton made her way to the Pakistan National Council for Arts to attend a town hall meeting. A large gathering of government officials, journalists, students and businessmen were invited to indulge in an informal question-answer session with the United States Secretary of State. Secretary Clinton started with a brief overview of what Pak-US relations were based on and how things were to move forward. I have always admired Hillary. She has a charming and charismatic personality. For the first time, the United States is making a genuine effort to reach out to the Pakistani public, as opposed to the military. I feel aid is not the answer to Pakistan’s problems, but it is the immediate need of many people living well below the poverty line. The pride and joy on the invited guests’ faces was obvious. They were all glad to be a part of this august gathering. It was the discussion that actually showed what these bright faces were all about. 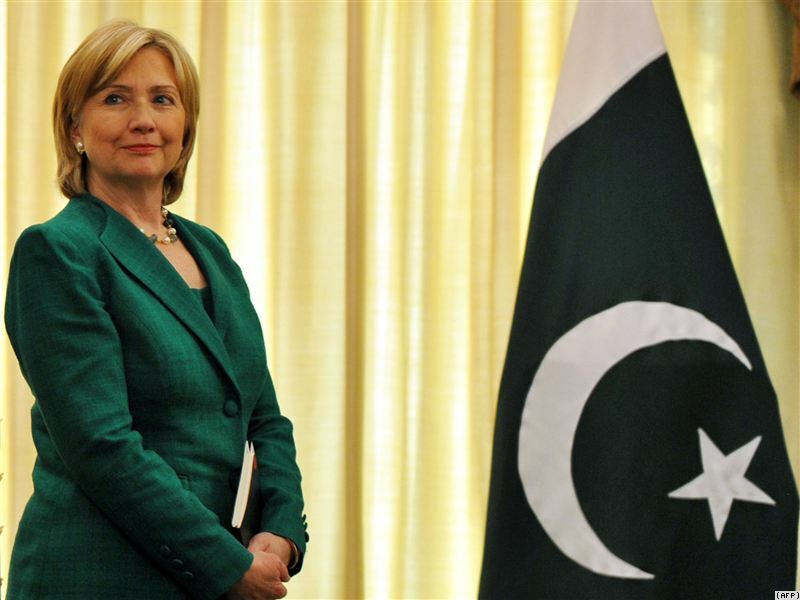 With the sort of questions posed to Secretary Clinton, it seemed as if she was a Pakistan government representative. While our ministers are a crude lot, who rarely have anything good to say, Hillary Clinton’s sympathy, understanding and actions made the crowd relate to her. She explained how the United States was helping Pakistan improve the water crisis, human rights, health facilities, education, youth development, sports, Kashmir and energy. Wait… If this is all Clinton’s job, what on earth are the dozens of pampered ministers in the Pakistan government doing then? Did they ever bother having a town hall meeting? Do the people of Pakistan think these ministers are worth talking to? Do they even know there is Pakistan beyond the Constitution Avenue (I’m not talking about Blue Area)? With the huge egos of the Pakistani public, it was pretty shameful to see how almost every question asked to Secretary Clinton had the begging-bowl effect. The people kept making demands from implementing female rights to providing entrepreneurial funding. Secretary Clinton had a solution reply to each and every request. She seemed more Pakistani than most politicians who feed on the people’s fund. So, it all boils down to the integrity concerns of the Pakistani people. The worst ill any person, or society, can have is hypocrisy. Sadly, it is abundant where we live. We can’t have the United States paying all our bills and not let her influence our every step. At the same time, it is hard to resist the millions, leading to billions, in aid because the poverty situation is not getting any better. If we plan to burn down other peoples shops and cars if Wapda doesn’t provide electricity, then accept the aid and live on it. If we can live the hardships and create a healthy Pakistan by working harder, there is no better option. However, it is important to take one side and stand by it.